Linda Fong is a Realtor who has lived and worked in the South Orange County community for over 20 years. She uses her knowledge of the community, her contacts throughout the area to help her Clients make informed and real estate decisions. Linda is affiliated with Coldwell Banker, the #1 Selling Real Estate Broker in Southern California and the Global Leader in Luxury home marketing. Bringing the Ethics and Professionalism of Corporate Management to Real Estate is what Linda does best! Because of this Linda was a Top 10 Agent in the Laguna Niguel Office this past year. Linda’s background in corporate business for over 15 years as a Manager and Consultant causes her to understand the importance of professionalism and high ethics in business dealings. Helping Buyers find the right house at the right price is important to her. Any Agent can search the MLS and find homes to sell. Linda goes the second mile to help Buyers maximize their buying power so they get more home for less money. Her clients get full disclosure of information about a property and the issues that affect it’s value. She is a Certified Negotiation Expert trained and skilled in getting you the right price and the right terms. Helping Sellers find the right Buyer who will pay the most for your home is a top goal for Linda. Linda believes in helping Sellers get top dollar when they list their home. Going above and beyond serving her sellers which includes state of the art marketing technology: 3D and virtual tours that gives massive exposure to every possible Buyer in the world are just a few of the strategies that help sellers. Linda chose Coldwell Banker International Previews because of their global presence. Unlike other brokerages that say they are global, Coldwell Banker can actually boast by having 237 offices in China to include written publications in Beijing and Shanghai. Globally offices are in 39 countries too, not just online presence which makes a difference getting your property exposed to the highest degree of success. Locally Coldwell Banker has the #1 rated written publication called the VIEW that sellers properties will be advertised in as well. This publication goes to surrounding counties such as, Los Angeles, San Bernadino and Riverside, as well. Clients especially appreciate Linda’s communication skills that keep them up to date and informed throughout the entire process. As your community and industry insider, Linda is a volunteer on the CUSD PTA Legislative Team over the last 8 years and is an active member of her church and community for over 20 years. Linda has two sons, one a Sophomore at Dana Hills HS and the other a Freshman at USC's Viterbi School of Engineering. Go to Zillow.com to read what some of her clients have said, unsolicited! "My husband and I had decided to move to Orange County from Riverside. 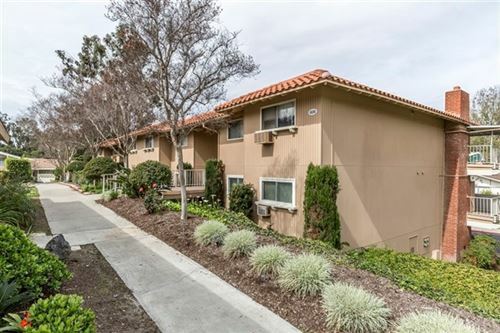 After several months of viewing open houses we were fortunate enough to meet ... more "
"Linda did a Herculean job representing the sale of my home in Laguna Niguel. It was not an easy job due an array of reasons and issues occurring at ... more "
"Working with Linda Fong has been a truly amazing experience. We have worked with her twice now and each time she has gone above and beyond to help us ... more "
"Linda is savvy, personable and knows the market inside and out.”. “Linda guided us through the entire process and was extremely accommodating to all of our needs. Linda went above and beyond our expectations. Linda is savvy, personable and knows the market inside and out. We never could have gotten our first home without her. We are very pleased by her expertise and we recommend her to everyone.”From Melanie and Mark B. "Linda was so organized in coordinating the entire home purchase process for us especially since we were doing this living out of state. " Thank you so much for your help!! You have been amazing orchestrating everything for us and making sure we were comfortable every step of the way! From Cameron and Sarah C.